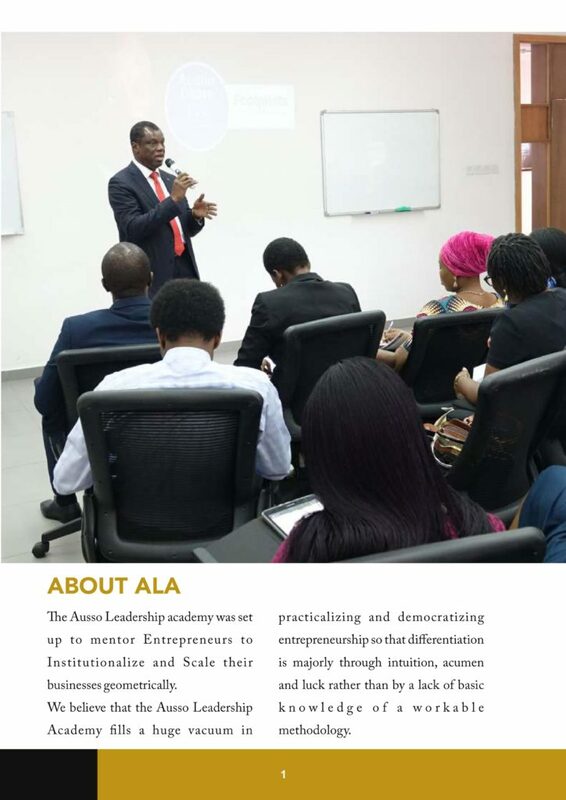 The Ausso Leadership academy was set up to mentor Entrepreneurs to Institutionalize and Scale their businesses geometrically. The vision is to maximize the jobs created by Entrepreneurs in order to enable shared prosperity. Innovative mindset: instil a mindset of innovation to enable the entrepreneurs to adapt quickly to the changing global business landscape, taking advantage of technology advancements such as artificial intelligence and big data to gain a competitive advantage in predicting customer preferences as well as simplify tasks and maximizing output. The idea is not to be held back by legacy but rather re-imagine what the business would look like if not for the legacy that holds you back. Mentor them on taking the bold steps of un-learning inefficient and obsolete ways, and re-learn new and effective ways of delivering products and services that meet global quality standards. Experiential learning: most of the learning that our entrepreneurs have been exposed to are theoretical in nature with very little opportunity for experiential learning (i.e. practical learning outside the classroom under the tutelage of successful entrepreneurs who have to thread the path before in the real world). These ‘Champions of Entrepreneurship’ have a lot to offer by way of hard learnt experience and would be more impactful in passing on critical knowledge for success and sustainability. Institutionalization and scaling: many entrepreneurial businesses regardless of age have not laid a solid foundation of institutionalization to be able to support the full potential of growth. Without institutionalisation, there cannot be sustainable scale because growth will be anaemic, and the enterprise may even collapse under the weight of the skewness that results because of a lack of requisite governance. Herein lies the Achilles heel of many of our local entrepreneurial businesses. One of the cardinal principles of the Ausso Leadership Academy is to instil the mentality of building a Solid Structure for the business with more emphasis on Institutionalisation than the concept of an “All-Knowing Strongman”. Peer-inspiring network: a problem shared is a problem half solved; a candle losses nothing by lighting other candles, it only makes the room brighter for all. These are the philosophies of the mentor and peer networking opportunities that the Ausso Leadership Academy will foster. 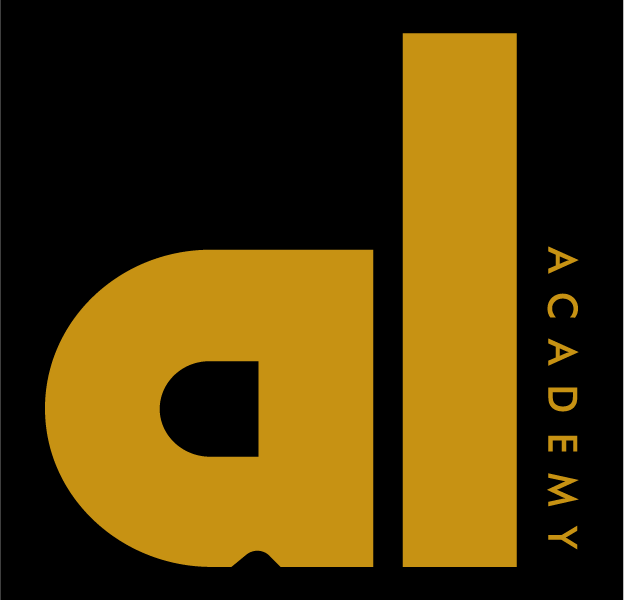 The Academy will provide the platform for the entrepreneurs to learn from each other and share knowledge and contacts, to accelerate growth and progress of their businesses; most times leveraging on each other for key products and services and creating a multiplier effect across the value chain. Instilling ethical conduct: One of the most sustainable competitive advantages of a business is ethical conduct. It wins you trust and loyalty, decreasing your cost of customer acquisition because it is much cheaper if most of your business comes from repeat customers. Satisfied customers promote your business by word of mouth, which is the most powerful reference, and costs nothing in advertisements. The Ausso Leadership Academy will empathize ethical conduct as one of the pillars of success and a key competitive advantage. Exposure to capital opportunities: The Ausso Leadership Academy recognizing that capital is essential to scaling, has entered into partnerships Investors to offer opportunities for capital to entrepreneurs who successfully pitch their growth plans. The big advantage is that the investment sizes lie within the sweet spot of the quantum required by entrepreneurial businesses in the local context. Personalized mentoring: the mentors of the Ausso Leadership Academy, or Champions of Entrepreneurship as they are referred to, are outstanding entrepreneurs who have been very successful in blazing new trails. They are motivated to ‘be the mentors they wish they had’. With their wealth of experience and their journey to building their empires serving as live case studies delivered “through the horse’s own mouth”, the mentees can learn quickly from the points of inflexion of the Champions, improving on what they did and avoiding the pitfalls. This personalized mentoring will enable the entrepreneurs to hit the ground running, immediately applying new knowledge to business challenges.